Truth: One of my biggest fears is the thought of being locked up in prison for something I didn’t do or for some unimaginably minor offense. Therefore, I just had to sign the petition for clemency for David Barren, a man given life for a drug conspiracy charge. 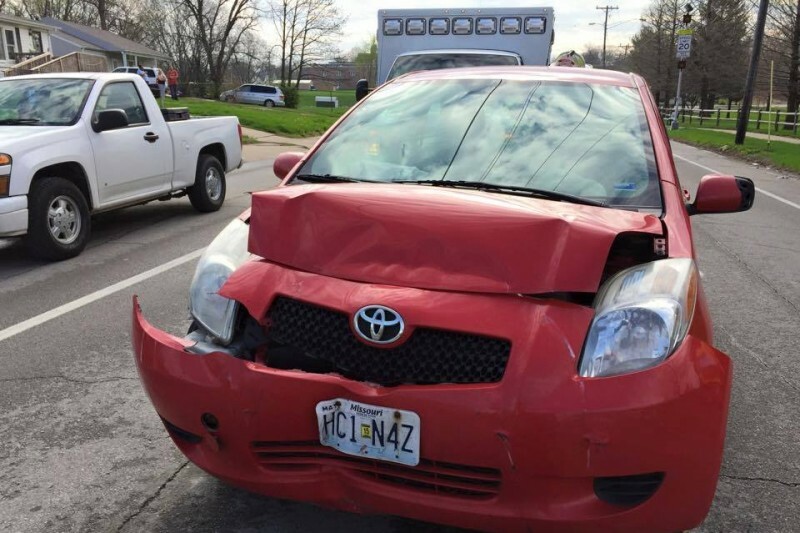 If you’re someone else who feels a bit of a twinge whenever a cop car slows down in your vicinity or feels compelled towards simple human justice, you might want to take a look at the petition and sign it, yourself. Thanks in advance, and as always, SWEET love and pink GRUE, Big Gay Horror Fan! 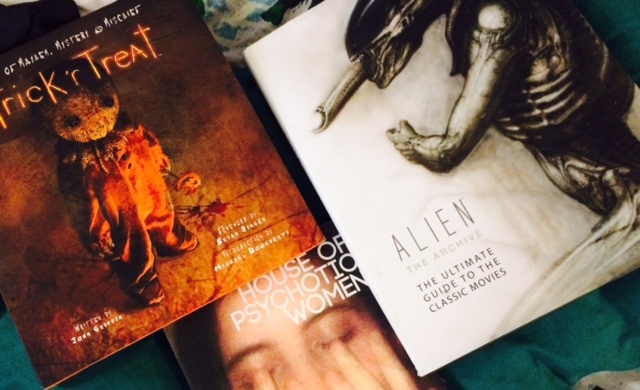 I know you love the spooky, but if you, also, adore terror literature and reference books and have an extra dollar or two rolling around in your pockets – then you might want to consider a little philanthropy, as well. Bucket O Blood Books in Chicago, which is devoted to genre literature, is facing a financial crisis and may have to shut its doors. The owners believe that even a dollar or two could help them at this venture. Check out their FB page at https://www.facebook.com/pages/Bucket-O-Blood-Books-and-Records and if you feel motivated to contribute visit their campaign at http://igg.me/at/bobmove. Local residents can, also, contribute at the store, itself. Help Out Bucket O’ Blood Books! 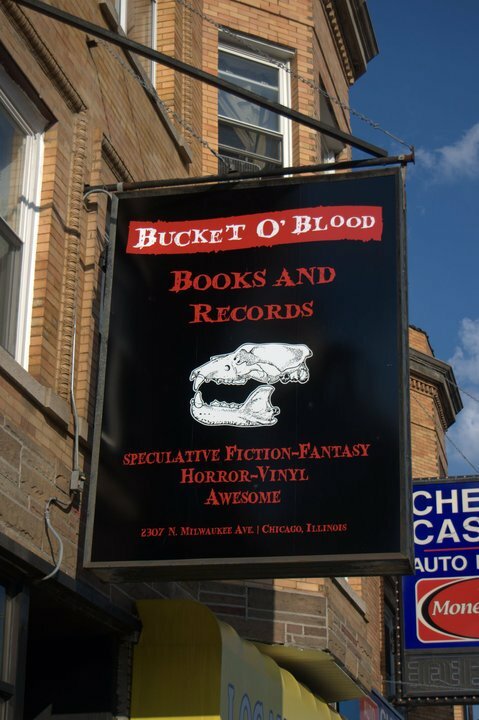 Chicago’s awesome Bucket O’ Blood Books has been offering up scary literature frights and punk rock madness to the willing denizens of the Midwest for awhile. Now, they have an opportunity to make their frightening dream even bigger with a Mission Main Street Grant. They need 250 votes to apply, though. That’s where your easy version of assistance comes in. Click on the link, below, and show ’em how generous terror lovers can be. You can find out more information about this wordy institution at https://www.facebook.com/pages/Bucket-O-Blood-Books-and-Records, as well. Thanks…and until the next time, SWEET love and pink GRUE, Big Gay Horror Fan! Hobo With A Trash Can Charity Event! Compassion thy name is Grindhouse! Clare “Fluff” Llewellyn, one of the visionary forces behind the anthology Hobo With A Trash Can, wherein a homeless man discovers stories of horror among the refuse, is planning a blowout charity event and food drive for the film’s premiere. The film, featuring scary segments from Llewellyn and 7 others including Christopher Kahler, Steven Grainger, Lloyd James Emmons, Kyle Leonard, Mark Charles Adams, Vincent Marshall and (Big Gay Horror Fan favorite) Tonjia Atomic, will make its debut in Chicago on June 14th, 2015 at the Patio Theater. More information is available at: https://www.facebook.com/events/974440952568158/. Llewellyn, who is still looking for raffle items and other forms of event assistance, can be contacted at http://www.twitter.com/trashanthology. Meanwhile, the film’s official site is http://hobowithatrashcan.wix.com/hobowithatrashcan. Help Out a Fellow Horror Kid! If you’ve read the (award winning) film criticism anthologies Horror 101 or Hidden Horror, you are probably familiar with the concise, beautifully articulated words of transgendered writer Christianne Benedict. This woman’s love of genre film is strong and it shows in her passionate pieces. Christianne is, also, one of the transgendered community’s strongest advocates. Therefore, being in a position to ask for help as opposed to giving it, is probably very strange for her. In fact, it isn’t Christianne who is doing the asking in her time of need. Her best friend has put together a Go Fund Me campaign for her. This, surely, has to say something about how powerful Christianne’s actions have been in her rural Missouri community. But, carless (as pictured above) and on the brink of losing her house, Christianne could definitely use your support now. I bet even a dollar or two could go along way to putting a halt to certain disaster. … and as a fellow writer friend (and the editor of the previously mentioned Horror 101 and Hidden Horror), Aaron Christensen, pointed out, if a bigoted pizza establishment in Indiana can raise untold funds, then an advocate, who is truly worthy of such an outpouring, should be able to, as well. 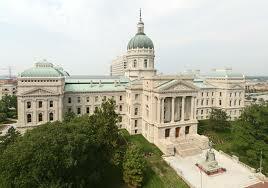 What to do about Indiana!?! Got some free time this afternoon and wondering what to do with that rage over Governor Pence passing the Religious Freedom Act in the state of Indiana? Well, you could build a dollhouse out of the bloody shards of your cuticles…or you could make your voice be heard.